The beginning of the fall semester is fast approaching. Most kids are excited to finally get back to college and live the life of independence. Although they may never admit it, every kid misses home. For me, one of the best things about being away is receiving creative care packages from my mom. The ideal care package, of course, contains some home-cooked goodies. Most students will agree that they will choose anything over the cafeteria food, just for some variety. At home, parents have the ability to provide healthier food choices, while at school, many students make unhealthy choices – depending on what is available. I love care packages from my parents, but my mom includes a few things that make it not only healthy, but social and fun to get me out of the dorms. Water balloons – Although chilly weather is fast approaching, everyone loves to take advantage of the unexpected heat waves and act like a kid again. Frisbee – Not only used to toss around, Ultimate Frisbee is a game that will have you running around outside for hours. Kickball – Again, a competitive game between girls and boys becomes not only social, but a physical activity to run bases and relive some childhood P.E memories. Bop-IT – This game was the BEST when I was a kid, and now it is even better. It requires concentration, and you could end up doing it forever trying to master the machine. You can’t play without laughing. Skip-It – This fastener around your ankle will have people laughing then asking… “Can I try it?”- roommate challenge anyone? KIND Fruit & Nut bars– These bars are made from natural nut and fruit bars and contain no preservatives. 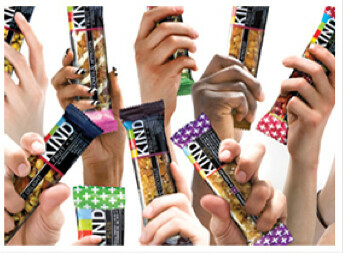 KIND bars encourage customers join their “KIND Movement” and perform a kinding mission that occurs ever first Tuesday of the month. Brownies– Although I never knew, I recently found out that these brownies were of the healthy variety. Chocolate Chip Cookies– Again, I never knew, but I found out that these cookies included white beans for protein, another healthy snack. Check out some recipes from the sneakychef.com to see how you can provide healthy and delicious meals for the picky eaters in your family. Yes its true that its fun for students to leave away from home and experience the independence. But the thing they miss a lot is their home food. The outside food is not hygienic and moreover its taste is not as your mom made food at home. This article explained creative care packages from mom. You can follow any of the creative idea and have food made from your mom hand even staying away from home.